Get help in citing your sources for your assignments. 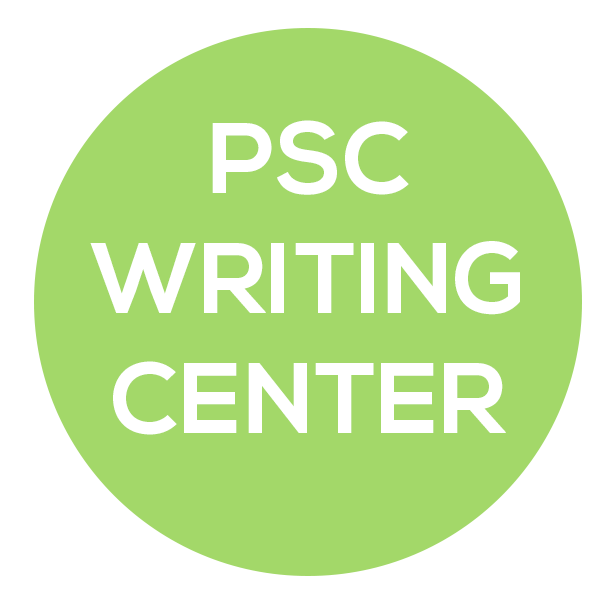 The Writing Center offers half-hour one-on-one tutoring sessions to help you with writing assignments in any of your classes. Walk-ins are welcome if a consultant is available, but appointments are encouraged. To make an appointment, stop by room 2637 in the Student Success Center, schedule an appointment online, or call (708) 709-3521. The easiest way to prevent plagiarism is by correctly noting your sources during research and citing your sources in your writing and presentations. Clone: Submitting another's work, word-for-word, as your own. CRTL-C: Containing significant portions of text from a single source without alterations. Find-Replace: Changing keywords and phrases but retaining the essential content of the source. Remix: Mixing paraphrased material from multiple sources. Recycle: Borrowing generously from your own work without citation. Hybrid: Combining cited sources and copied passages without citation. Mash-Up: Mixing copied material from multiple sources. 404 Error: Citing non-existent or inaccurate information about sources. Aggregator: Including proper citation of sources, but the paper contains almost no original work. Re-tweet: Including proper citation of sources, but relies too closely on source's original wording and/or structure. Source: Turnitin.com "The 10 Types of Plagiarism". Via Butler University's "Avoiding Plagiarism" from http://libguides.butler.edu/plagiarism. All icons from Font Awesome.